Kool Kollectibles: Teaser pic of upcoming Sideshow Collectibles figures!!! WOW!!! Teaser pic of upcoming Sideshow Collectibles figures!!! WOW!!! Here's a teaser pic posted by Sideshow Collectibles 1/6th scale Project Manager Kevin Ellis! Just look at all the amazing stuff that will be coming out from them! Cannot wait!! Just look at that Pilot Luke with two head sculpts and a separate helmet! And that awesome weathered Threepio!! 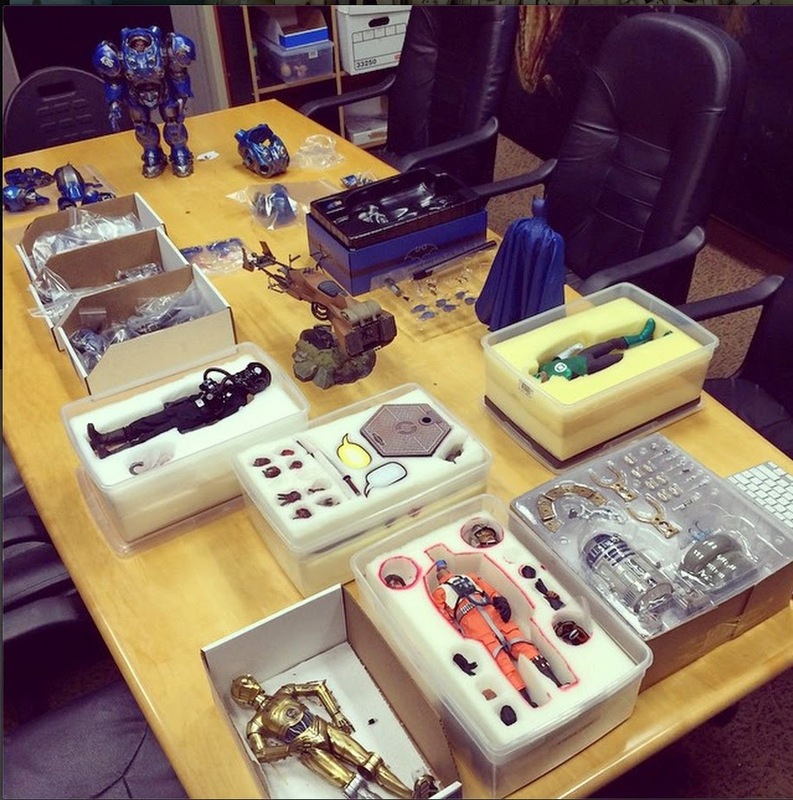 And what about that incredible Tychus figure from Starcraft at the back there? And the fact that Deadpool will include comic styled speech bubbles!! Everything in this pic is simply amazing!!! Revoltech Teenage Ninja Turtle awesomeness! !